Today is the HBO publicity department’s luckiest day: Robert Durst was taken into custody in New Orleans late Saturday, just hours before the finale of the network’s six-part documentary about him, The Jinx. As those familiar with his story already know, Durst is suspected of murdering his friend Susan Berman, who was shot to death in her Los Angeles home in 2000. The L.A. Times reports that “the arrest warrant says Durst is connected to a first-degree murder. But a law enforcement source with knowledge of the investigation told The Times it is the Berman slaying. The source spoke on the condition of anonymity because the case was ongoing.” Durst’s lawyer, Chip Lewis, told the Associated Press that his client will be transported to Los Angeles to face charges. 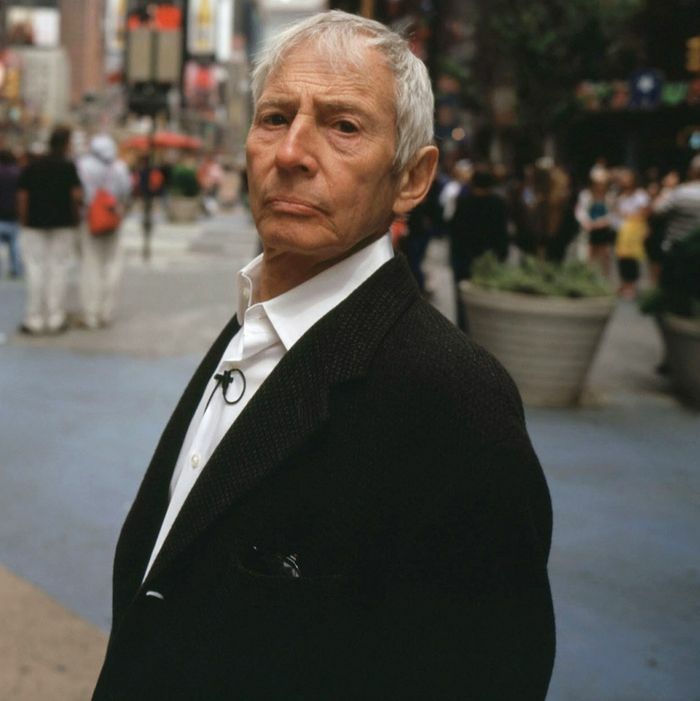 Last week’s episode of The Jinx ended with Berman’s stepson, Sareb Kaufman, showing filmmakers Marc Smerling and Andrew Jarecki a letter Durst mailed to Berman in 1999. The handwriting on the envelope (as well as a distinctive misspelling of “Beverly Hills”) appeared to match that of an anonymous note informing the LAPD of a “cadaver” at Berman’s address shortly after her death. As of the filming of the episode, investigators had not seen the letter, which Kaufman said he recently discovered in a box of Berman’s things. Robert durst just arrested in new orleans!!!!! Durst definitely killed (and dismembered) his Galveston, Texas, neighbor Morris Black in 2001, but he got off by claiming self-defense. He spent three years in prison after pleading guilty to tampering with evidence and skipping out on his $1 billion bail. This time, he’s being held without bond.